But what I’m trying to convey is that you shouldn’t write the Lexus off – in fact although this isn’t a very super-saloony comment, if the Lexus had a simpler, more satisfying interior design and a less hopeless infotainment system (the mouse set-up is utterly awful) it would have run the BMW closer. The GS F is a less polished, honed and deft product than the M5, the Hyde side lurking closer to the surface. But there’s something to be said for that: it’s a little less grown up, arguably the more fun, thrashable and amusing of the pair. 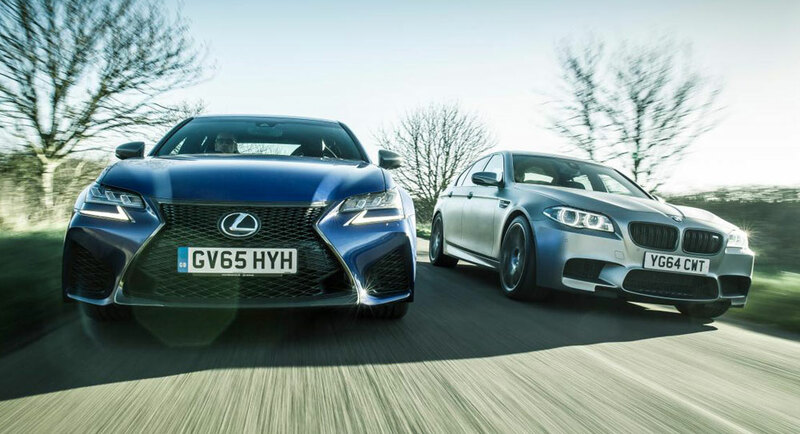 Meth Jayasekera: It says the GS F has an auto and the M5 has a dual-clutch but doesn't the GS F have paddle shifters?